Most co-ops, condos, and mortgage lenders require buyers to get property insurance. But not all coverage is created equal, and you'll want to get the smartest, most comprehensive plan possible. "Before you start shopping around for the best coverage at the best price, find out what’s covered by your building’s policy and what isn't. 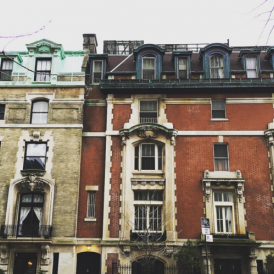 You'll also need to brush up on the minimum requirements of your building as well as your mortgage bank if you have one," says New York City apartment insurance broker Jeff Schneider of Gotham Brokerage. 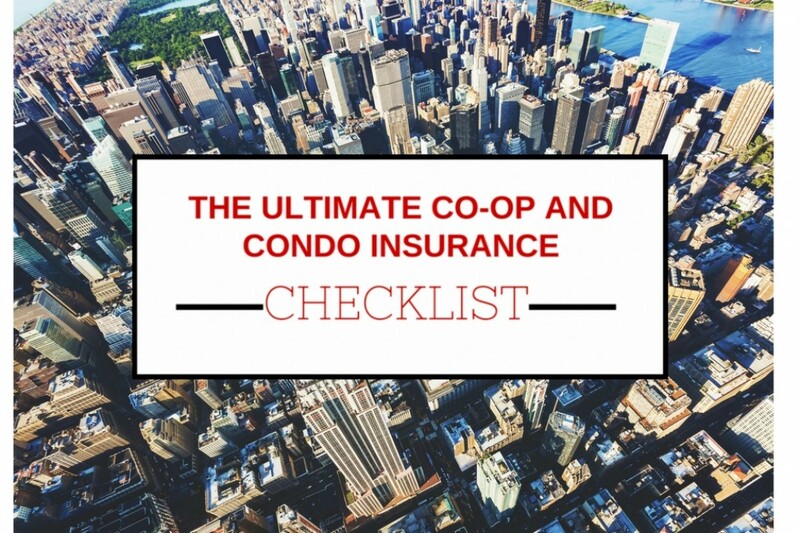 Generally speaking, co-op and condo owners are responsible for everything from the ‘walls in’ and ‘concrete floors up,’ but each building’s master insurance policy can vary somewhat. In the event of a devastating fire, for instance, your building may only be obligated to give you back a plain concrete box to build upon; in other buildings, you are entitled to a very rudimentary apartment with basic kitchen and bathrooms. As a general rule, says Schneider, any renovation work done in the apartment since it became a co-op or condo is almost always going to be your responsibility to insure and replace. Figure on about $250 per square foot to replace a total loss, or more for a very high-end job (up to $1,500 per square feet). In addition to providing liability coverage for damage inflicted by you to another apartment (for example, your bath tub or sink overflows and ruins your downstairs neighbor’s new floors), your insurance policy covers you for injuries sustained inside your apartment, like when your part-time housekeeper slips and breaks a leg on your wet bathroom floor. It’s a good idea to have it regardless of whether your building demands it, recommends Gotham's Schneider. However, many buildings set out minimum coverage levels ranging from $300,000 all the way up to $5 million. 3. Is your storage area is covered? First, examine your storage agreement to see what losses are covered and ask your managing agent about what’s provided by the building’s master insurance policy. Then ask your insurance agent what your new policy covers. Most take care of off-premises damage caused by fire, water damage from burst pipes, and vandalism, says Schneider. So that means if the drycleaners catches fire and destroys half your wardrobe, or your storage locker floods from a burst pipe, you may be covered. If your personal property is stolen outside your apartment, that may also be covered. Or you may be required to take out an endorsement to cover theft losses outside your apartment. The cost typically charged annually for off-premises theft insurance is probably worth it if you travel a lot with expensive suits or ride a $3,000 bicycle. 4. Do you need flood insurance? Flooding is a real risk if your apartment sits on the ground floor or below. Coverage is generally unavailable if all four corners of your apartment are below ground level (for example, if you have to walk down a few stairs to get into the front door, and up a few stairs to get out to the garden in back), though you may be able to buy limited coverage for a municipal sewer backup. If at least two corners of your apartment are at or above ground level, ask whether flood coverage is available and compare your options carefully. Note: While flood insurance can be a lifesaver, it's also restrictive--there are gaps with co-ops and no loss-of-use coverage, for example. 5. Ask your mortgage bank whether it has minimum insurance requirements. Most banks require that your insurance on your walls, floors and built-ins be at least 20% of your mortgage amount. But that's a minimum. And note that it usually isn't enough coverage to return things to normal if the inside of your apartment is completely gutted by fire or flood. 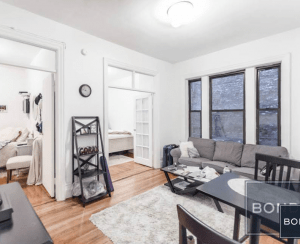 And, "the more expensive the apartment, the more likely they will be to require coverage that more closely approximates the rebuilding of the interior of the apartment," says Schneider. Most policies cover the bulk of your personal property—clothing, furniture, artwork, electronics--with limits on jewelry, fur and silverware. You can buy additional coverage for these restricted classes. Computer equipment is typically also included. However, it may not be if you work primarily from home. Additional coverage is usually available for business equipment you own. ...and remember to photograph the items you have in storage, as people tend to forget what’s there. Most insurers require that you notify them when you renovate and submit proof of general liability and workers comp insurance by your general contractor. If you don’t and something happens, you may be penalized with a higher deductible if you file a claim. There may be lower rates available if your building is fire resistant, if you have a doorman, if you're retired or work from home and are home most of the time, or if you have an alarm system (though many buildings won’t allow them because of the nuisance of factor of false alarms). Apartment insurance does provide you with Loss of Use/Additional Living Expense coverage. If you are forced out of your apartment by a covered loss, usually fire or extensive water damage, you will be reimbursed for the cost of staying in a hotel or renting a temporary apartment until your residence is repaired. Coverage can be provided under either a time limit or a maximum dollar limit. Some companies do not cap the coverage. Jeff Schneider is the president of Gotham Brokerage Co., Inc., an insurance brokerage serving NYC and the tri-state area for over 50 years.